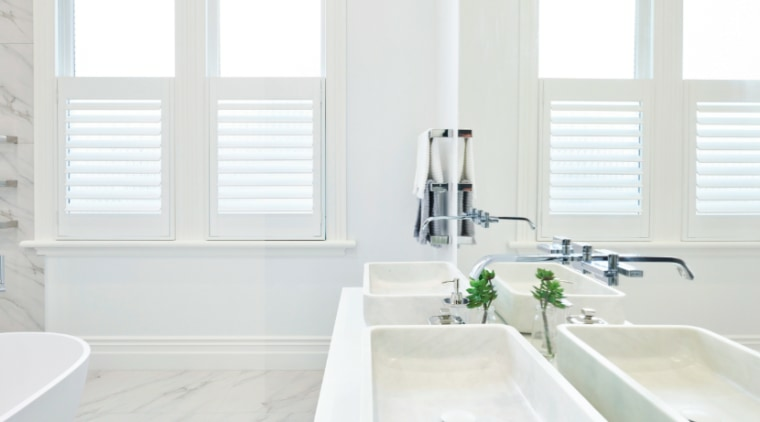 This isn’t a guide for picking a bathroom basin, but more a showcase of what you can do – with a little imagination, of course. 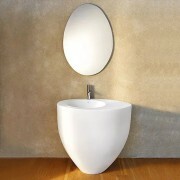 Don't be afraid to move away from the traditional shapes when selecting a basin for your bathroom. There’s near-limitless selection when it comes to contemporary basin designs. 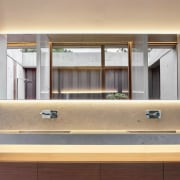 Bowl-like basins that sit atop your bathroom counter create a bold statement, especially if they’re finished in a unique colour or material. 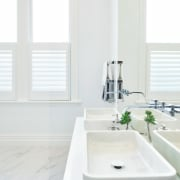 You could also install a basin that runs the length of your counter (like this example from Plumbing World), allowing for more sink ‘work space’. Some designers choose not to have a ‘basin’ at all, but instead a piece of metal, ceramic or glass which angles down toward a drain. 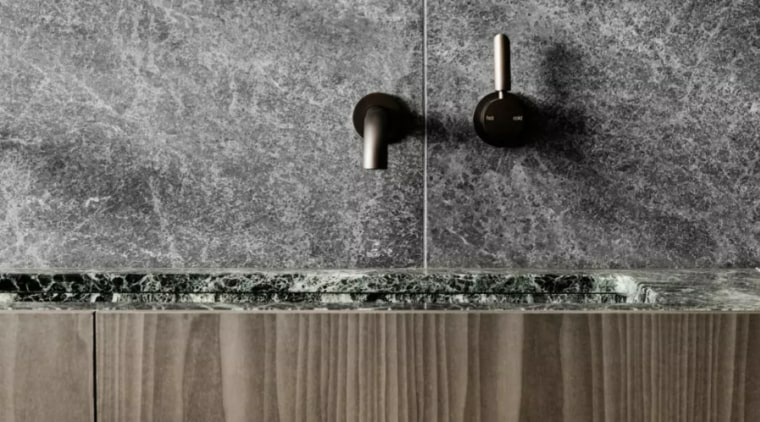 Have you ever considered natural stone for a basin? There’s nothing quite like it, both in terms of durability and just how good the material looks. 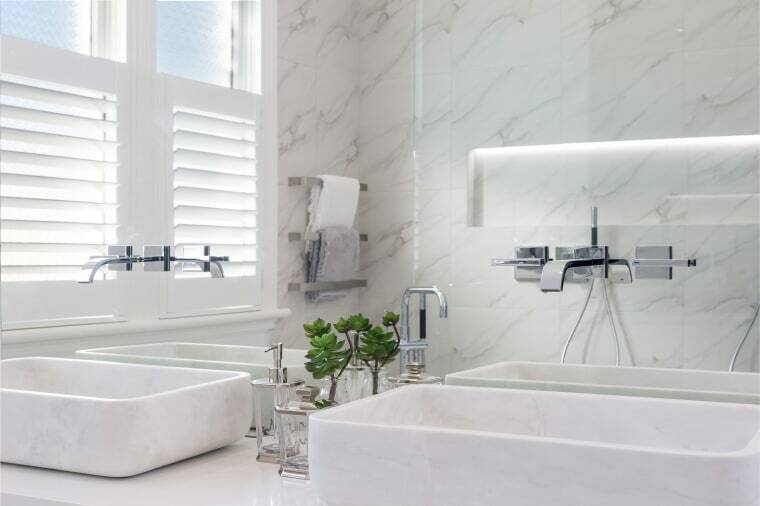 What’s more, natural stone basins instantly draw the eye, creating a strong focal point. 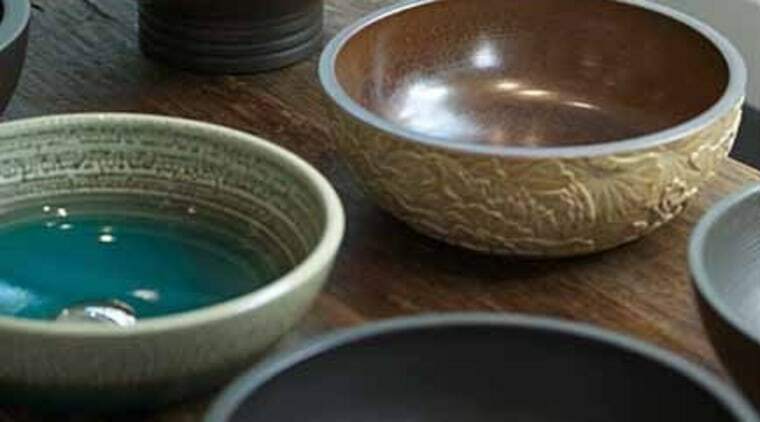 Robertson Bathware offer one of these, the Zen basin. 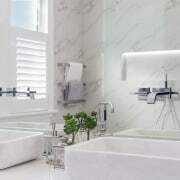 It’s marble, meaning there are a number of texture and finish options available, as well as colours and shades. 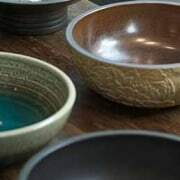 You can also get the Zen basin in a variety of metal finishes. 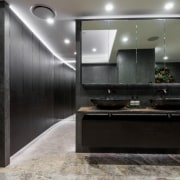 If you don’t want to make the leap to a metal or stone basin, but you’re still after something that looks unique, consider a ceramic basin finished in black. 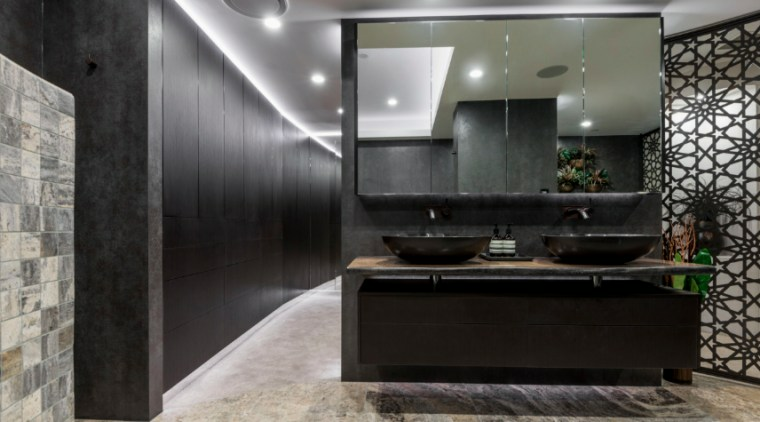 A black basin may not be appropriate for every bathroom – especially if you’ve already got a number of dark elements – but it’s another way to make a bold statement. Heirloom have a number of matt black countertop basins available, which you can see here. If stone and black ceramic basins don’t take your fancy, glass could be what you’re looking for. They’re certainly a bold statement piece for your bathroom, although they lack the durability of stone and metal. Note that glass basins are also most commonly available in countertop configurations. With a basin in mind, now’s the time to pick an equally eye-catching tap to sit alongside it. 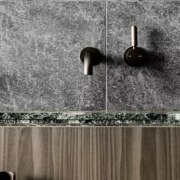 Browse through our Basins & Taps category to get an idea of suitable pairings for your bathroom.